Girl Piano with 10 different music sounds. 4 different instruments and 8 notes that you can play. 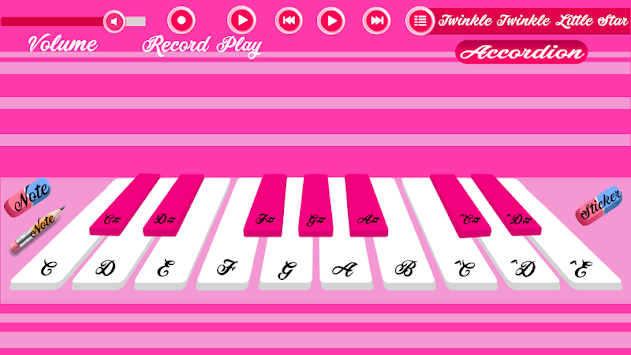 Girl Piano is an app created especially for girls, kids and parents to learn to play musical instruments, wonderful songs, exploring different sounds and develop musical skills. 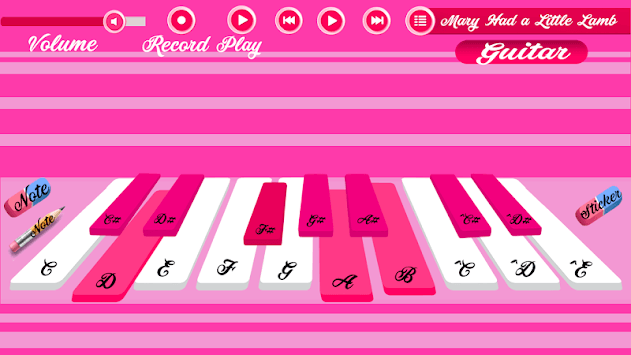 Girl Piano games for girls. Your child will improve his skills not only in music. Girl Piano helps to develop memory, concentration, imagination and creativity as well as motor skills, intellect, sensory and speech. * Record and play mode. * Show / Hide Notes on keys. * Accordion, guitar, glockenspiel and marimba note play.